Grouper season opened up on May 1 and it started off with a bang. 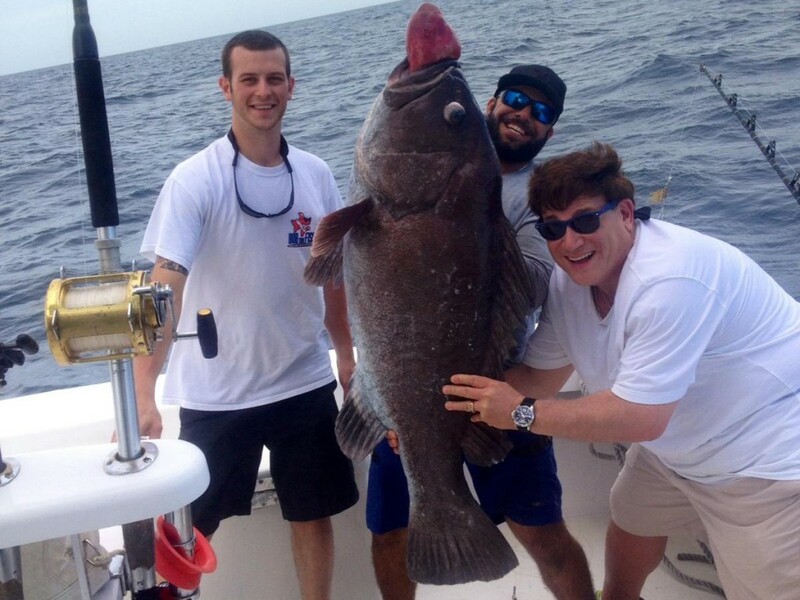 We caught this 60 pound warsaw grouper deep dropping on a wreck in 275ft of water. The fish ate a live blue runner we dropped as bait. Groupers have been completely un-harassed the past 5 months with no one fishing for them. This period of no one fishing for them has helped the groupers repopulate the wrecks making them more plentiful and easier to catch. They are open now, so if you catch a grouper, you can finally keep him. Blacks, gags, reds, warsaw and snowy groupers are all biting good on the bottom, especially around the shipwrecks that have been sunk to act as artificial reefs. These underwater structures act as excellent habitats for groupers, amberjacks, cobia, barracuda, sharks and multitudes of smaller fish. They also make great spots to fish on top of to get quick action on big game fish. 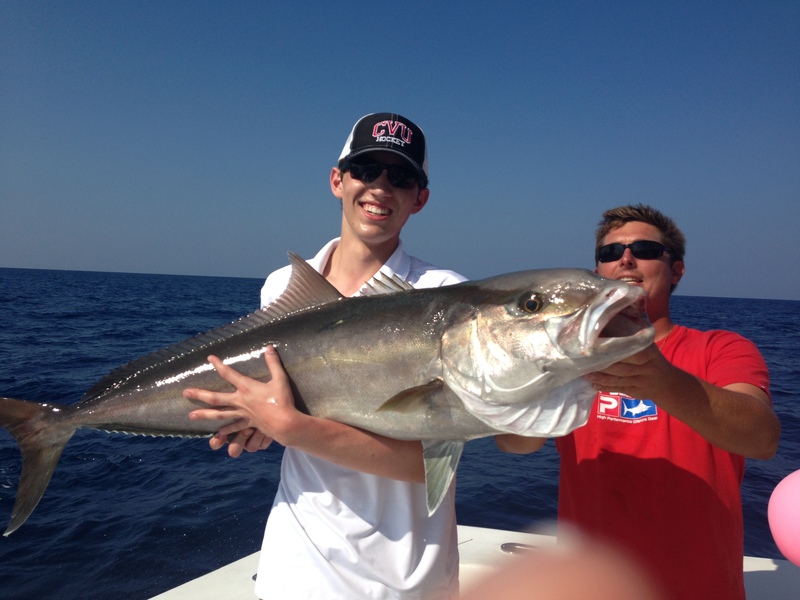 May is one of the best months of the year for bottom fishing around the wrecks. Amberjacks are stacked up on these spots in record numbers. 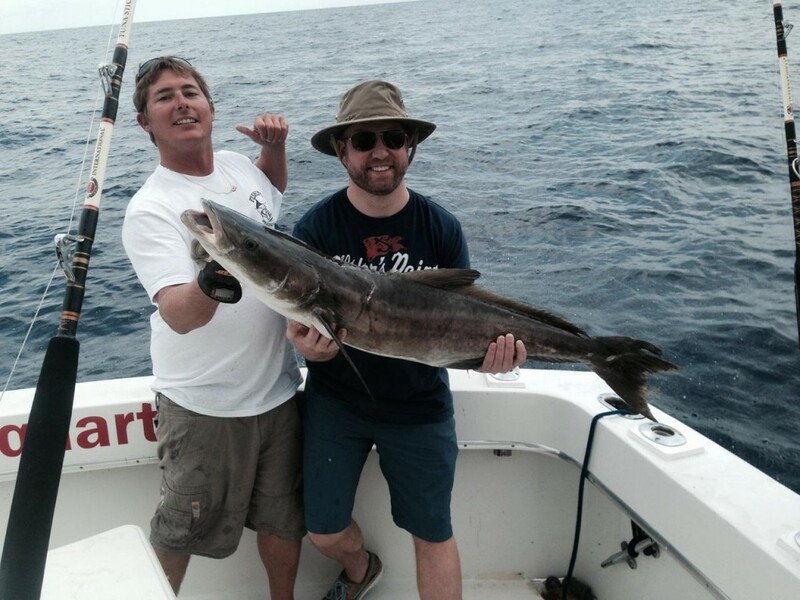 Amberjacks are big fish, sometimes 40-60 pounds and they put up a hellacious fight. These powerhouse fish are very aggressive and usually take the bait the second it hits the bottom. This is a great time of year for bottom fishing in Fort Lauderdale and it makes for supremely fun action. You will usually come home with some pretty big fish and you can effectively hit quite a few wrecks in just a half day fishing trip. If you’re looking for good action on strong fighting and big fish, a wreck fishing charter is for you. Let’s go fishing!